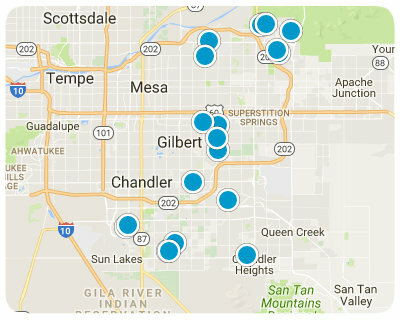 Below are ALL of the Homes for Sale near Gilbert Classical Academy Jr. Middle School in Gilbert Arizona from our Realtor MLS UPDATED EVERY 5 Minutes! That means EVERY home from EVERY Real Estate Company that is currently for Sale. House is in need of rehab, but great location with pool.